“They claim to know on their own what truth is, but Catholic doctrine is not a closed system, but a living tradition that develops,” Cardinal Walter Kasper of Germany told the Italian daily Il Mattino on Sept. 18. 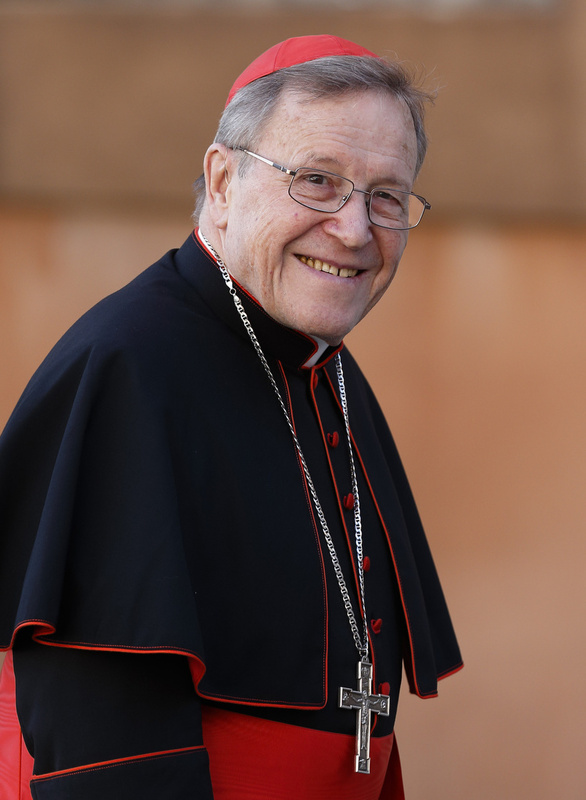 Cardinal Kasper was responding to a new book featuring contributions by five cardinals who criticized his proposal to make it easier for divorced and civilly remarried Catholics to receive Communion. “None of my brother cardinals has ever spoken with me,” he said. “I, on the other hand, have spoken twice with the Holy Father. I arranged everything with him. He was in agreement. What can a cardinal do but stand with the pope? I am not the target, the target is another.” Asked if the target was in fact Pope Francis, Cardinal Kasper replied: “Probably yes.” The book, Remaining in the Truth of Christ, includes essays in response to Cardinal Kasper’s proposal by three participants in the Synod of Bishops on the Family: Cardinal Gerhard Müller, prefect of the Congregation for the Doctrine of the Faith; Cardinal Raymond L. Burke, prefect of the Supreme Court of the Apostolic Signature; and Cardinal Carlo Caffarra of Bologna, Italy. This article also appeared in print, under the headline "A Living Tradition," in the October 6, 2014 issue.